Media Center | Linglong Americas, Inc.
On Sep 25th 2016, "Youth On The Shoulder of Wolf-- 2016 Linglong Football Training School",hosted by Linglong Tire and warmly supported by VfL Wolfsburg FC, started up in Yantai. Over sixty teenagers who was interested in football, gather in this beautiful seaside city to celebrate the opening of Linglong football training school. "Youth On The Shoulder of Wolf-- 2016 Linglong Football Training School"is a depth cooperation between Linglong Tire and VfL Wolfsburg after Linglong being the top sponsorship of VfL Wolfsburg in 2014. Linglong will carry this activity on for 4 years, mainly focus on teenagers between 6 to 12 years old, who will accept the professional and typical training from six coaches of VfL Wolfsburg. At the same time, talented little players will have the chance to go to Germany, and go inside the field as caddy with referee, taking a good memory on the way to achieve their football dream. Related leaders said, " Football is an important part of China Dream, teenagers are the future of Chinese football. During the new situation of football innovation nowadays, Linglong Tire--as a great national tire brand with sport spirit, cooperated with VfL Wolfsburg FC to host this activity, showing great support to the sustainable development of teenager football career. This public beneficial activity has deeply and positive influence of training backup strength of Chinese football career and irrigating teenagers’interest to football." Over the past dozen years, Linglong Tire showed great support to sport career at home and abroad, sponsored plenty of national sport teams like China National Women Volleyball Team, Australia Brisbane Football Team, Australia Queensland Football Team, Zimbabwe Cricket Team, European Football League and VfL Wolfsburg. This deeper cooperation with VfL Wolfsburg has great benefit to the development of Chinese teenager football career. Leaders from Linglong Tire said on the opening ceremony, " Over the past years, Linglong initiates " Society Responsibility Strategy"to feedback society. Today, we are really pleased to gather so many talented teenagers from different city to get training from professional coaches. As the organizer, we wish to offer more opportunity and platform for teenagers who has football dreams, with our advanced resource, to contribute to the sustainable development for Chinese football career. 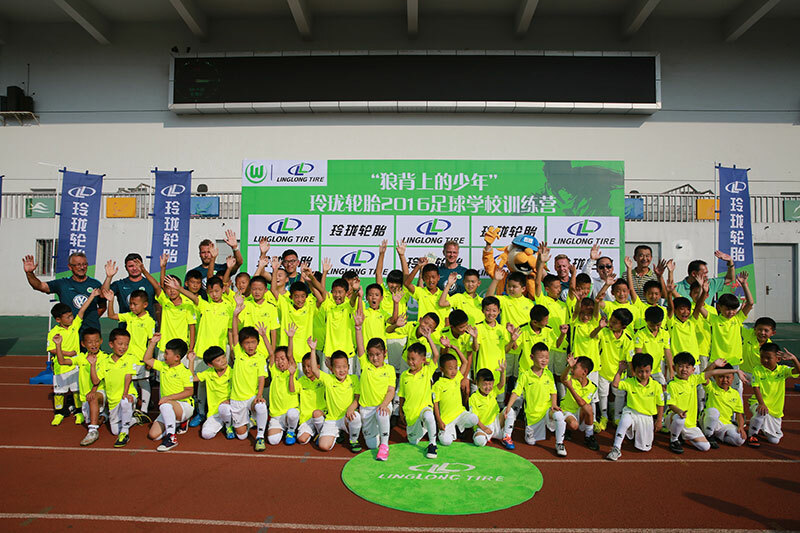 Linglong Tire invited six professional coaches from VfL Wolfsburg to train these little players. In this two-day training, coaches make appropriate training subject basing on the age and basic situation of different players. Players get trained not only on professional football skill but also on observation skill, communication skill and cooperation skill. They also learned the passion and interest of football, the football dream will be sweater and stronger. 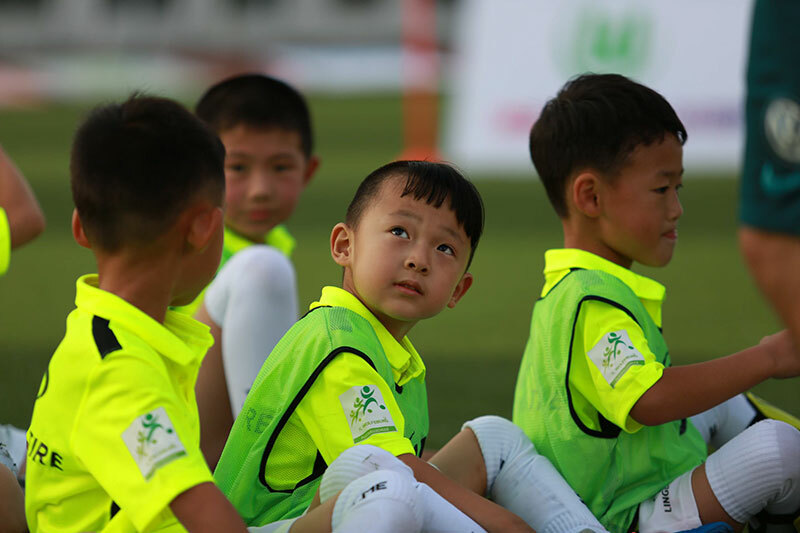 As the carrying on of Linglong Teenager Football Training School, it is well believed that there will be more and more "star of hope"to be involved in future to get professional and high-level training, China Football Dream will come true in near future.